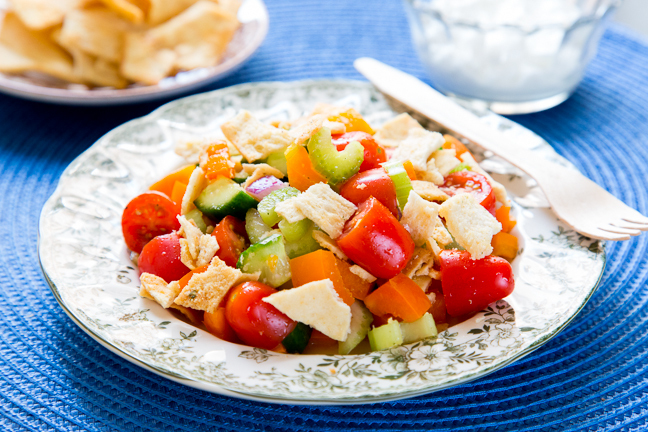 For this crunchy pita chip salad recipe we took a classic veggie-packed Mediterranean salad tossed with olive oil and lemon juice and topped it with crunchy pita chip pieces. This is a great way to get your kids excited about eating salad! 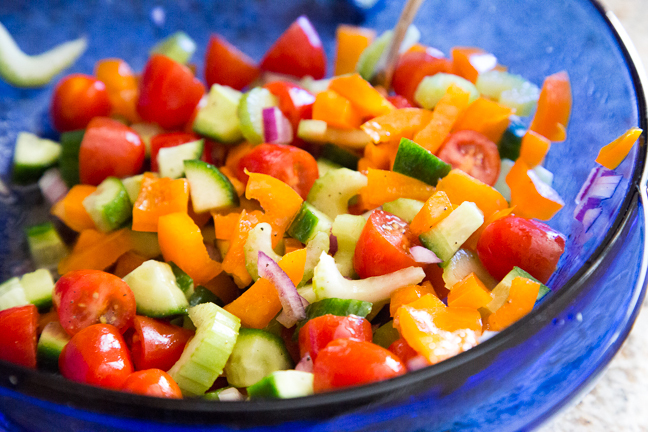 A crunchy, chunky, fill-you-up salad even your kids will appreciate. Step 1: Halve the grape tomatoes, chop the cucumbers & pepper, slice the celery, and mince the onion. 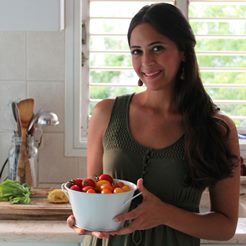 Toss the cut-up veggies in a large bowl with the olive oil & lemon juice, and season to taste with salt and pepper.